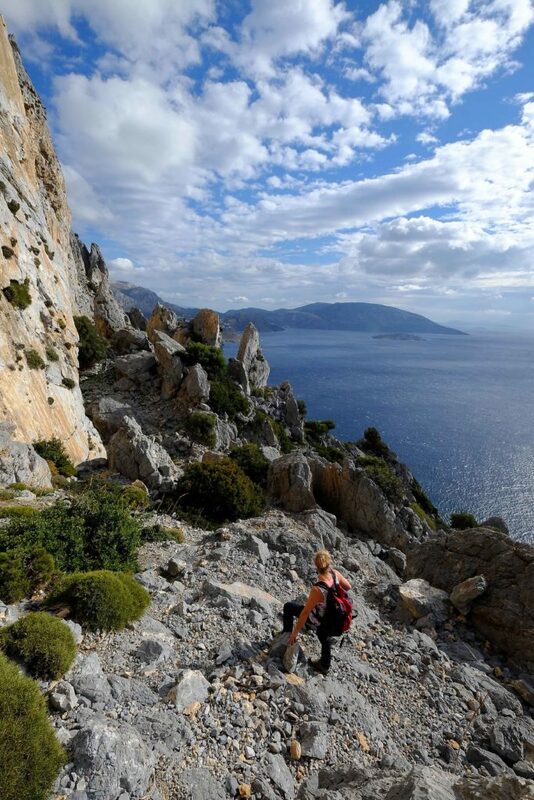 The Kalymnos Trail is a new hiking trail on the Greek island of Kalymnos in the South Aegean. The Trail links mountain tops, fabulous beaches, archeological features, caves, interesting villages etc via a continuous thread connecting existing footpaths with the old shepherds’ paths. To complete the circuit, there are off-path cross-country sections through some of the most demanding and exciting areas of wilderness in the Dodecanese. Although not long in distance at around 100km, the going is often extremely hard and not for the casual walkers. In fact it is one of the toughest trails in the eastern Mediterannean. 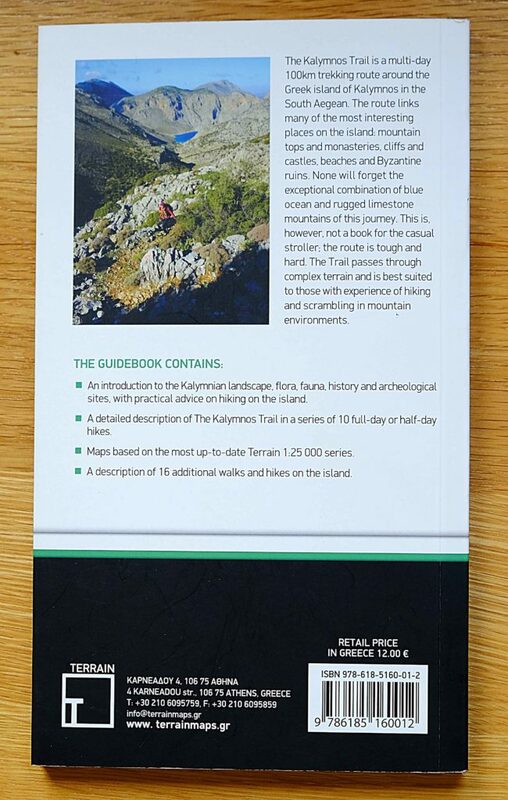 A book describing The Kalymnos Trail, written by island resident Carl Dawson, was published in May 2015. In addition to The Trail, this describes other walks and hikes on Kalymnos, ranging from Easy to Hard. 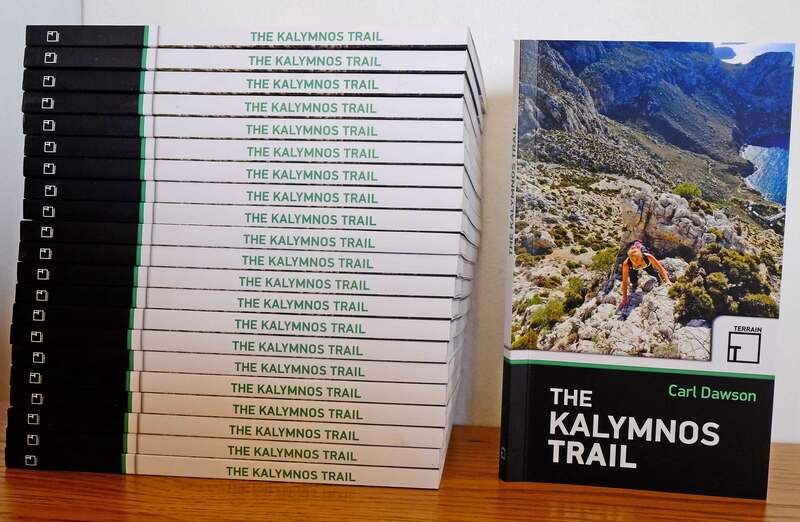 The Kalymnos Trail is also marked on the Terrain 1:25 000 map for Kalymnos, a series which covers all the main Greece islands to a high standard for climbers, hikers, trekkers and other outdoor adventurers. This handy yet elegant pocket-sized guide offers 166 pages in a 20cm x 12cm format in full colour. It contains a wealth of photographs of The Trail, a detailed background to the island as well as hints for a successful completion of The Trail. The eleven maps within the book have been specially created by Terrain’s cartographer and give a good indication of the route. It is however recommended that the more detailed Terrain 1:25 000 sheet is used in conjunction with the guidebook. The book is available from Terrain Editions and from Cordee. Alternatively, it can be obtained from the author. If you are passing Huddersfield, copies are available at HD3 Fitness Centre at Salendine Nook. Price: £12.00 plus packaging and postage. The book also be bought at the shops in Masouri on Kalymnos. 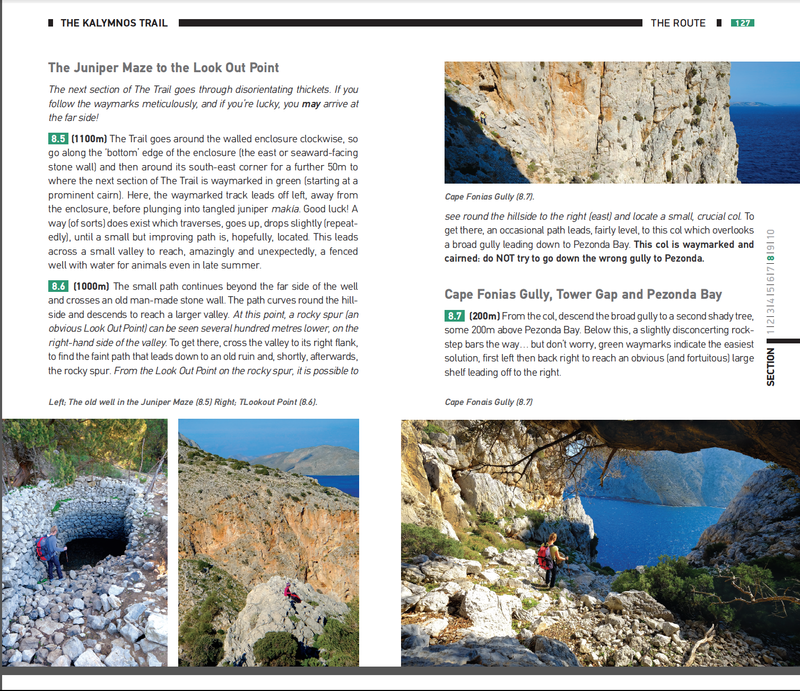 Visit the additional page for updates on The Kalymnos Trail. Also, you are invited to follow us on Facebook (www.facebook.com/TheKalymnosTrail): post your feedback and photos there. For other comments and requests, please email the author. The book is available from Terrain Maps (www.terrainmaps.gr), from Cordee (www.cordee.co.ukor from the author by email (info@hd3fitnesscentre.co.uk). Price: £12 (in the UK) plus packaging and postage. The book is also available from HD3 Fitness Centre in Huddersfield and at the shops in Masouri on Kalymnos. All Content © 2019 Carl Dawson - All Rights Reserved.